EarthWorks has been manufacturing carbon based fertilizers for the golf course, sports turf, landscape and lawn care industries since 1988. EarthWorks manufactures carbon based dry and liquid fertilizers for the turf and ornamental industry. Our products have been used on top elite golf courses and sports fields in the United States and recently have been traveling overseas. EarthWorks products have been a focus for many lawn care companies and a leader with landscape installation and maintenance companies since 1988. 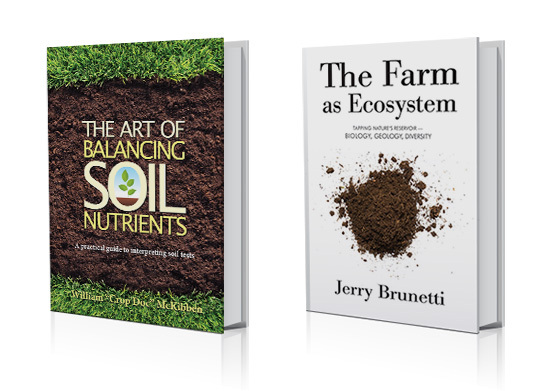 By balancing the chemistry and feeding the soil, changes can happen thus making the soil work better! For you it means reduced inputs and greater freedom from the whims of nature, as well as greater cost predictability over the long run. For your community, it means a legacy of beautiful, natural green spaces and playing surfaces. We promote a deeper respect. For the soil, the landscape and the people. And that Respect goes deeper than any fertilizer. "I believe with today’s environmental issues, it is everyone’s social responsibility to act as a steward, and for a decade EarthWorks has given me peace of mind knowing I am doing my part. However Earthworks products are not just good for the environment, they offer slow release nourishment to the soil that produces excellent looking turf, flowers and shrubs. My annual soil testing with Soil First has helped me reach my goals for optimal soils to establish sand based sports fields and lawns." "It was a comforting feeling to be able to drive around the course on a 100 degree day and see little to no wilted or declining turf. It’s hard to quantify the peace of mind that I have gotten since I began using EarthWorks products. I started working with EarthWorks in 1993 as the superintendent at Robert Trent Jones Golf Club after a battle with Take All Patch. We had balanced our soils but missed the biological piece, EarthWorks helped us with that and we were able to shut down a tough disease."